It is amazing to think, that my future grandchildren may not even need this vaccine included in their immunization schedule. 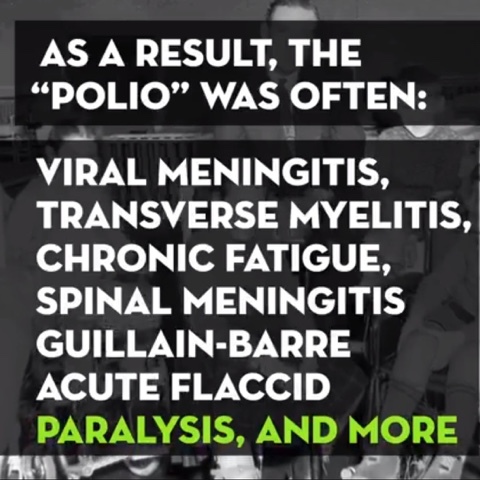 I came across a video, which features the most common polio myths that are spread around social media. I took a screen shot of each claim, and provided resources for each. Lab diagnosis has been possible since 1931 when a filter was created that captured the virus. Viral Meningitis is not Polio. Transverse Myelitis is not Polio. Chronic Fatigue is not Polio. Spinal Meningitis is not Polio. Acute Flaccid Paralysis (AFP) can be Polio related, and it be related to the administration of the Oral Polio Vaccine (OPV) in rare incidences. When AFP is identified in a patient Polio will be considered, it will then either be verified or excluded as the cause. The WHO keeps track of all Acute Flaccid Paralysis cases, whether they are vaccine derived or caused by a natural Polio infection. 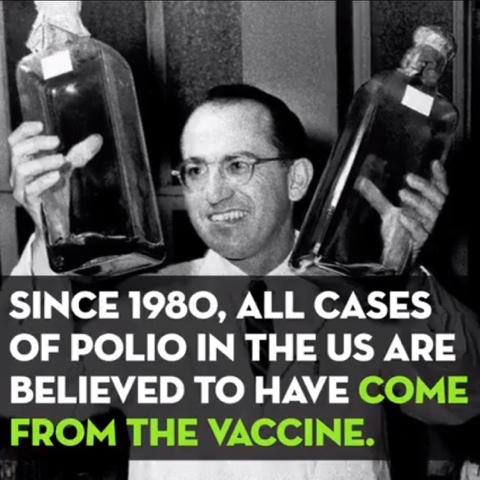 The Oral Polio Vaccine (OPV) is no longer used in the United States; it hasn’t been in use since 2000, though it is still in use in other countries. OPV related AFP has a rate of around 1 case per 2.39 million first doses, and 1 in 13 million for the second dose. 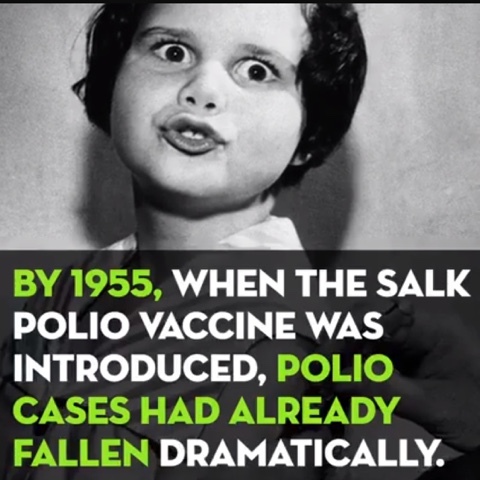 Polio is the only thing that is Polio! 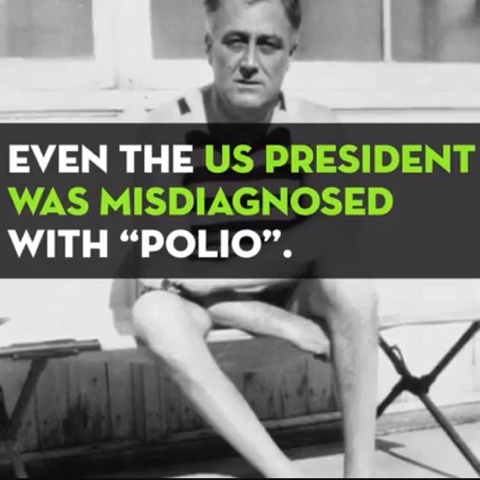 While reading up on these claims I found speculation that FDR didn’t have Polio, but Guillian-Barre Syndrome, these are not verified claims. 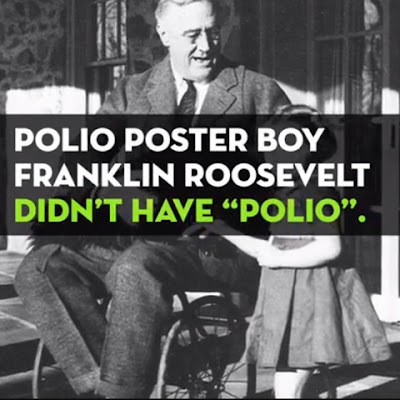 History says that FDR had Polio. 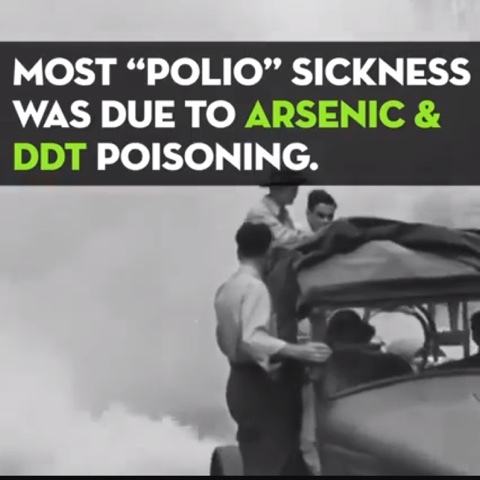 Arsenic poisoning is not like Polio. 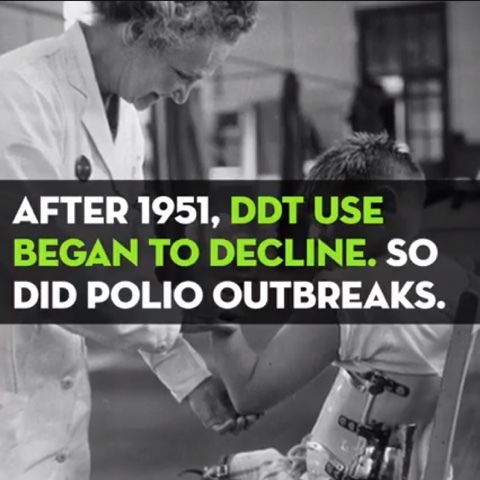 DDT poisoning is not like Polio. “DDT ingestion is an uncommon cause of poisoning worldwide. To date, no cases of renal impairment after oral intake of DDT in humans have been reported.” Symptoms of DDT poisoning would not mimic Polio symptoms, it causes renal failure. I do not understand the relevance of this statement. 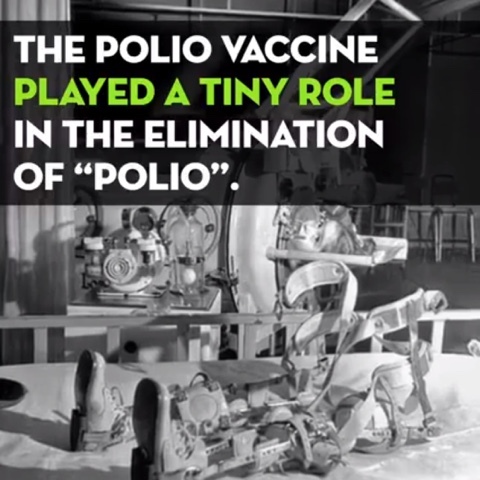 Polio killed and permanently disabled many people, mostly children. 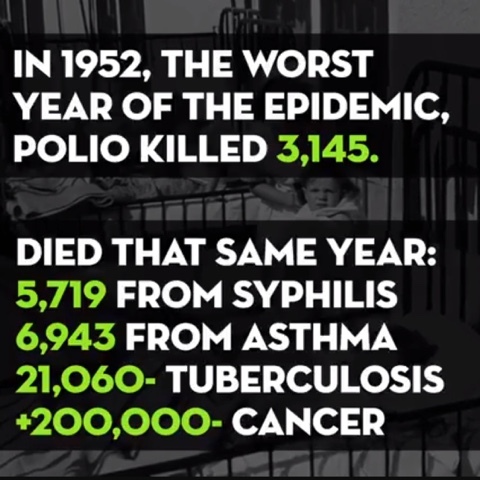 Yes other diseases kill people. 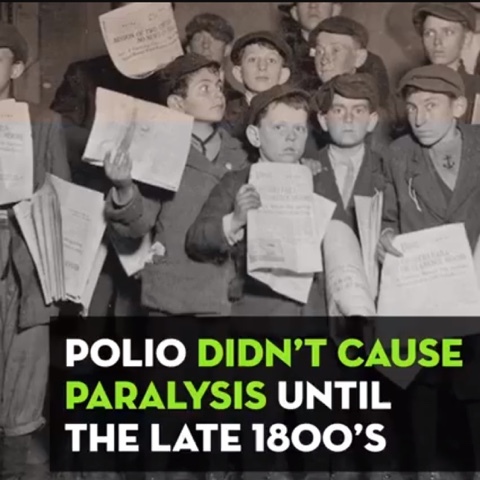 Thankfully Polio is one that can be prevented. Advertising is a very important part of gaining public awareness. 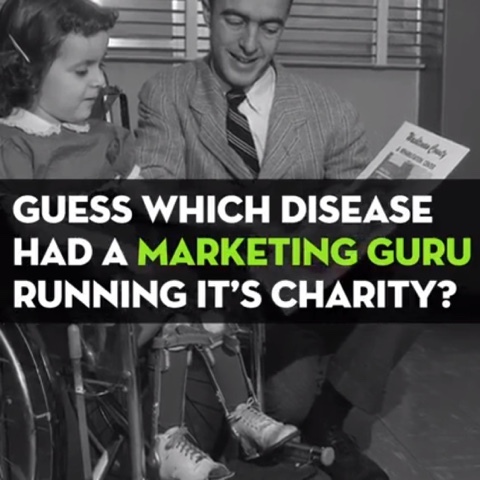 Most large charities run ad campaigns to help with donations and support. The main goal of a charity is to raise money for a cause. How is that done effectively if no one hears about your cause? Cases had not fallen dramatically. 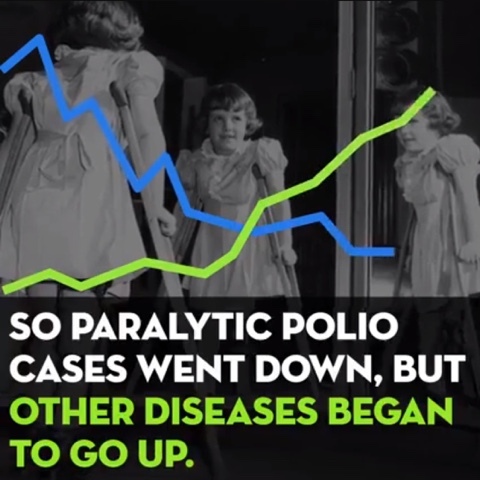 However, the death rates from polio had begun to fall thanks to advancements in medicine. 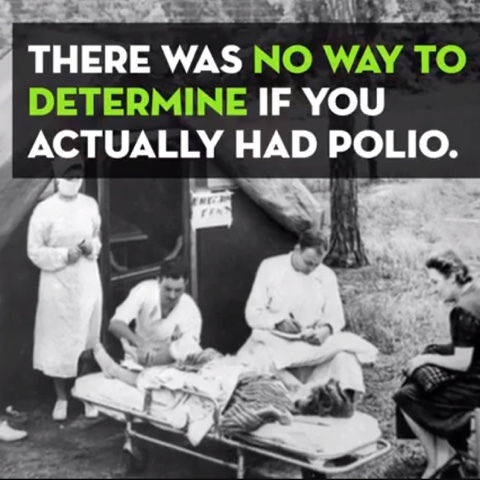 I have already established that only Polio is Polio. No source data was made available for this claim. If this claim is even true, again, correlation does not imply causation. This could simply be related to advancements in medicine and better diagnostic techniques. There is some truth to this claim, this is known as “The Cutter Incident” it is no secret. 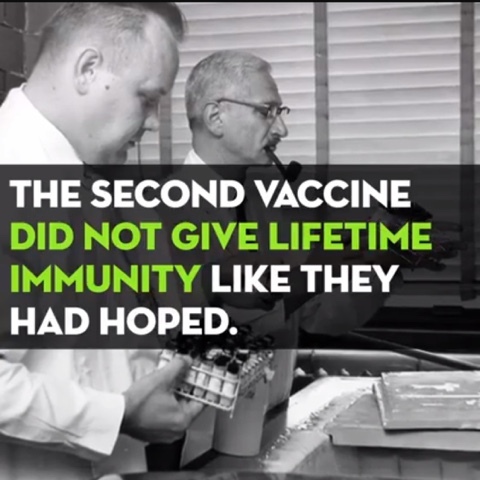 The vaccine may not always provide lifelong immunity. 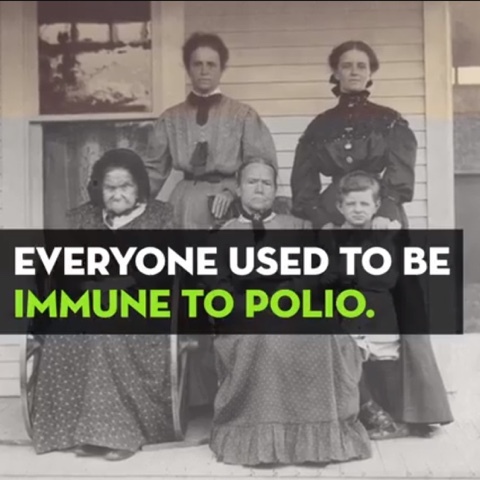 Children under age five are the most susceptible to Polio, the CDC recommends that some adults get another vaccine. 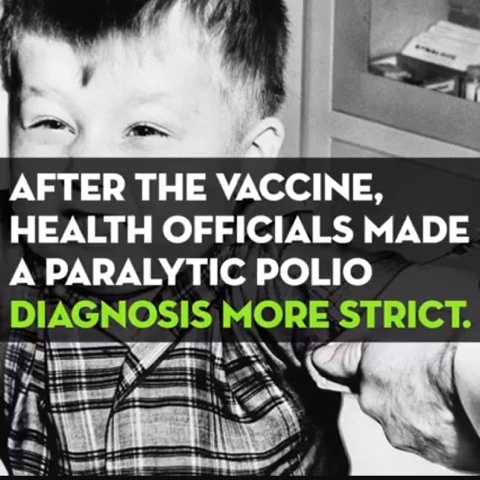 As stated earlier this is an extremely rare side effect of the Oral Polio Vaccine (OPV). The OPV has not been used in the United States since 2000. I have already addressed that vaccine related AFP has a rate of around 1 case per 2.39 million first doses, and 1 in 13 million for the second dose. Remember that polio has an AFP rate of 1 case per 200 Polio sufferers. Please check out Judith story, a real account of her struggle with Polio.